Sleeprate is unique in that it not only monitors and offers a very detailed assessment of your sleep, but also provides treatment for Insomnia through an exclusive Stanford-developed program called Cognitive Behavioral Treatment for Insomnia — CBTI. Unless you’re a psychologist, this is probably Greek to you, so here’s a crash course in CBTI. CBTI aligns these system through a set of behavioral modifications that changes bedtime, wake up time and activities around bedtime and wake up time. Most respond fairly quickly — some experience significant changes after only two weeks of treatment, and most others after four to six weeks. CBTI starts by measuring sleep parameters for about a week. Based on this, you’ll receive a tailored set of behavioral modifications which, if followed, will significantly improve your sleep. One of the first behavioral changes involves stimulus control. Establish a regular morning rise time. This will help strengthen the circadian clock regulating sleep and wakefulness. 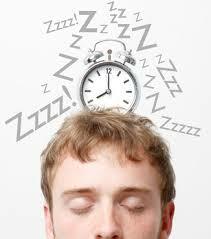 This also lays the foundation for establishing a regular bedtime by strengthening your circadian Rhythm. If unable to fall asleep, get up. Whether at the start or middle of the night, if you can’t sleep, get out of bed and return when you’re sleepy. Avoid excessive napping. A brief nap (15 to 30 minutes), taken approximately 7 to 9 hours after rise time, can be refreshing and is not likely to disturb nocturnal sleep. Any more than that might make it tougher to fall asleep.